We provide speech therapy, occupational therapy and physical therapy in South Sarasota County, including Venice, Northport and Port Charlotte. We are Blue Cross Blue Shield, AETNA, and Tri-Care providers as well as accepting most Medicaid plans and Children’s Medical Services. 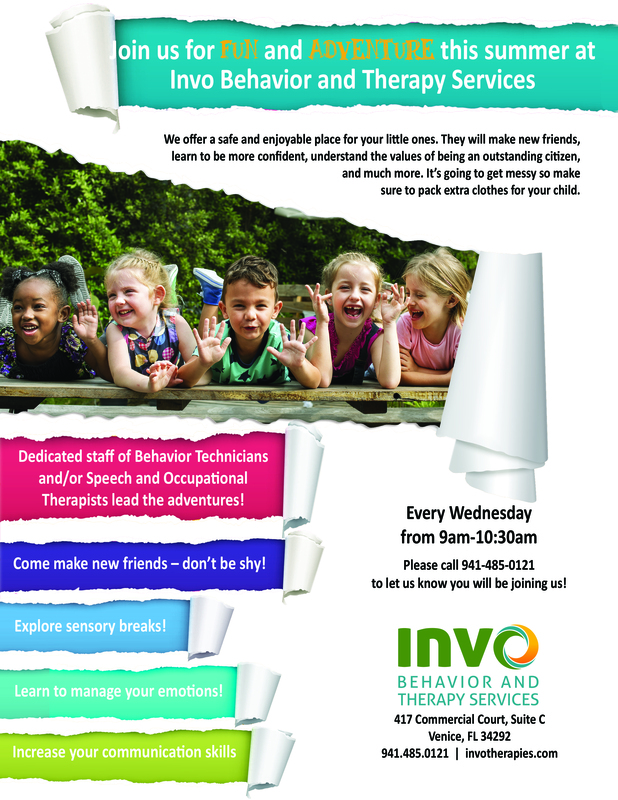 Join our experienced staff this summer for a Social Skills Group. Reserve your spot today call 941.485.0121! We provide speech and feeding therapy to children ages birth through 18. All of our therapists are Masters Level therapists with over 40 year combined experience. 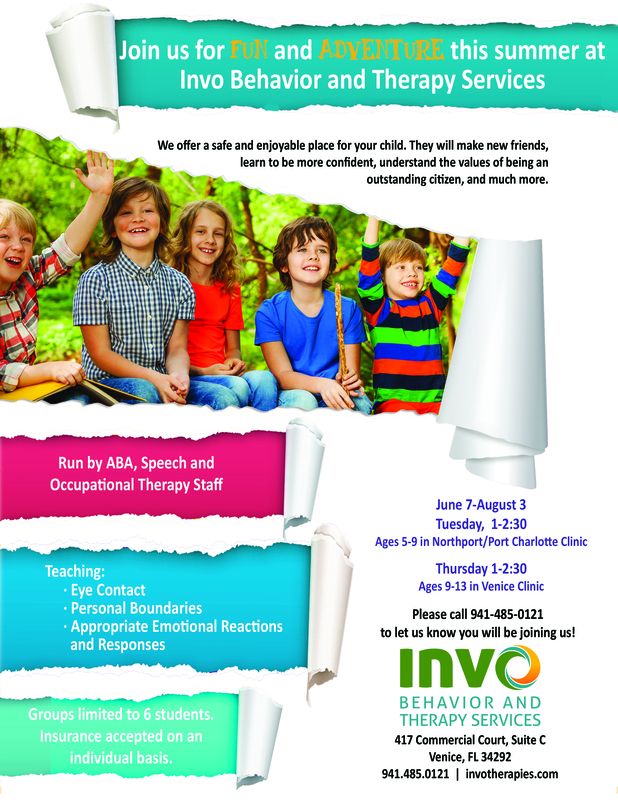 Speech is provided in both our Venice and Port Charlotte offices, as well as in the child’s “natural environment” if they qualify for the Early Steps Program. Physical Therapy is available to those children who display delays or difficulties with crawling, walking or mobility. Our therapists are able to address the specific needs of each child. We provide physical therapy in our Port Charlotte Office only at this time. Occupational Therapy is provided in our Venice Clinic by both our licensed Occupational Therapist and/or Certified Occupational Therapy Assistants. We have a fabulous motor room for providing sensory integration treatments, as well as small therapy suites for handwriting and or fine motor work. Therapy is primarily provided on an individual basis.